I'm a science fiction fan with a casual interest in science and ancient history. I write several flavors of romance including SciFi, suspense, sweet, & spicy. I started writing in the mid nineties and have been pounding away at the keyboard ever since. For me, writing is a form of therapy that keeps me from cracking under the pressures of everyday life. Stuck in his cabin alone on as a freak snowstorm descends, Stephen is already suffering from fatal boredom when he hears one of his friends arrive, hopefully with beer and cigars. It isn’t any of Stephen’s friends but rather a stranded motorist called Audrey. The good news is that now Stephen has something other than a deck of cards to entertain him until his friends arrive. The bad news is that Audrey’s suggestive comments are making it hard for Stephen to be a gentleman. Snowbound Hearts starts with a lot of snow and a minor misunderstanding of Audrey’s relationship status but as the temperature drops outside, Benjamin Kelly paints us quite a hot picture of what can happen by the glow of a fireplace. The attraction is mutual and with a comforting hug their mutual passions and shared dreams are unleashed…but what will Audrey and Stephen do about it? 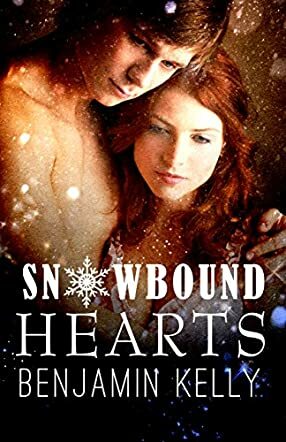 Snowbound Hearts puts a very unique spin on the 'strangers trapped in a snowstorm and become lovers' story. There is something connecting these would-be lovers and neither of them knows what, and that leads to scores of sexual tension throughout the story. I’ll admit Audrey seems kind of nuts at points in the story and Stephen is that much more lovable for not only being able to handle her eccentricities, but to love her anyway. Benjamin Kelly packs a lot of emotion in just a few pages and does so in a way that draws you in so quickly you’ll be wishing for another 100 pages just to find out what happened after the banana split!